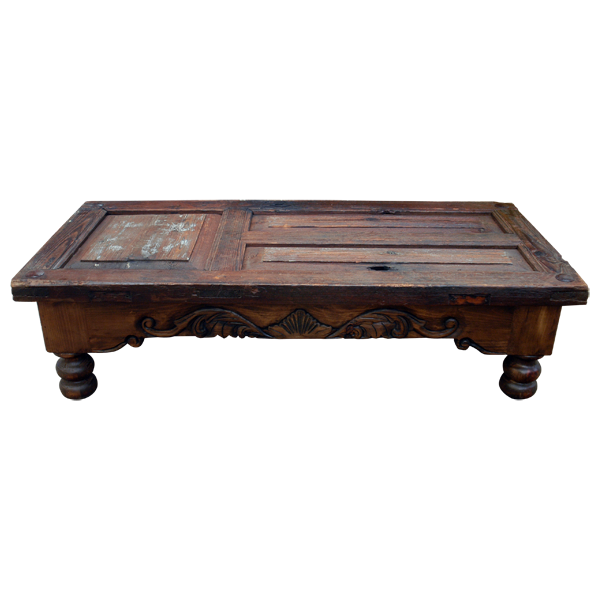 This handcrafted, Western style coffee table will be a wonderful addition to your living room. 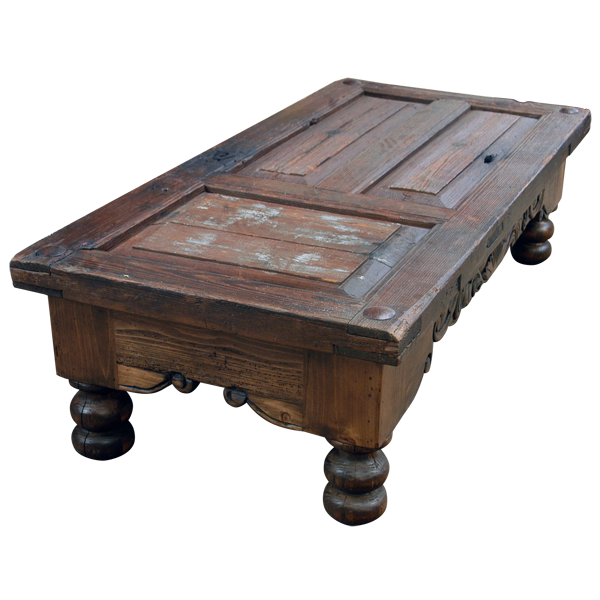 The top of the coffee table is made from a reclaimed door, and the face of the door has two vertical, beveled panels, and a contrasting horizontal, beveled panel. Each corner of the top is adorned with a large, hand forged, iron nail. 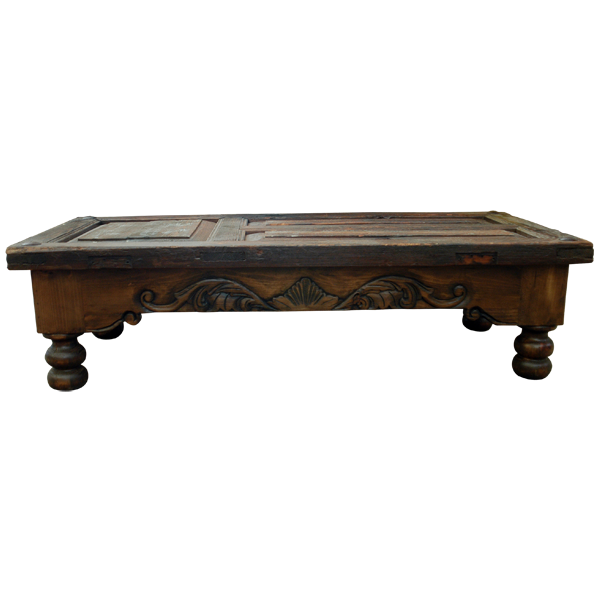 The table top rest on a solid wood base, and the front of the base is embellished with hand carved, floral and scroll designs. The coffee table is supported by four lovely, hand turned legs. The coffee table has a beautiful, antique finish, and it is made with the best, sustainable, solid wood available. It is 100% customizable.